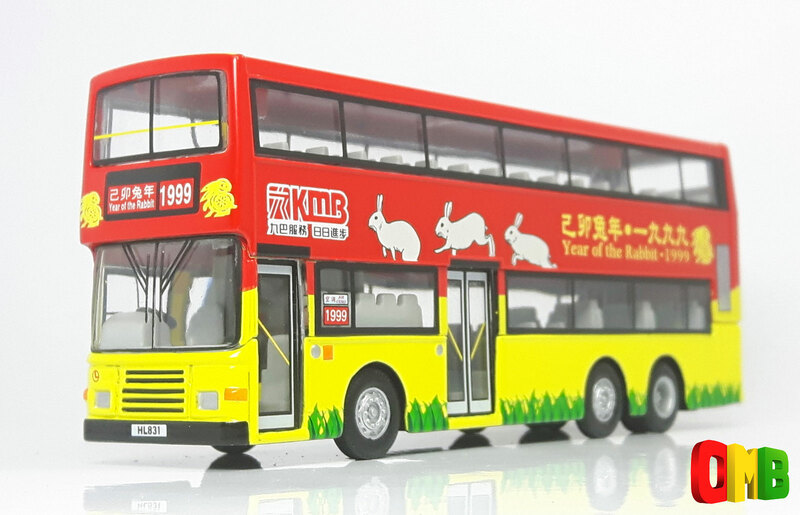 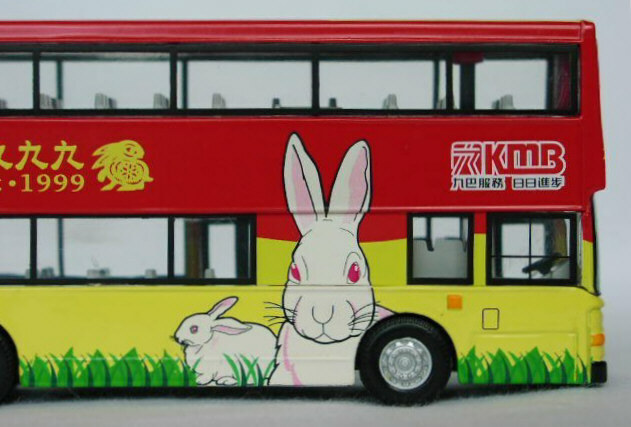 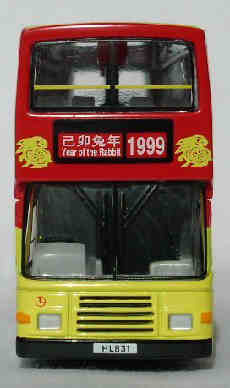 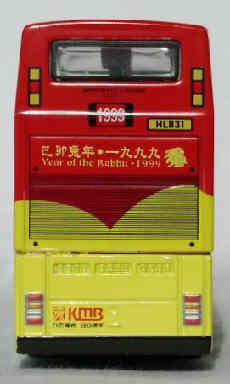 The model - 1999 was the Year of the Rabbit, and as in 1998, the Year of the Tiger, KMB issued another suitably decorated vehicle.Unfortunately, Corgi have again issued this model with an incorrect registration number, HL831, (the same mistake as with the Year of the Tiger), the correct number being HG 4169. 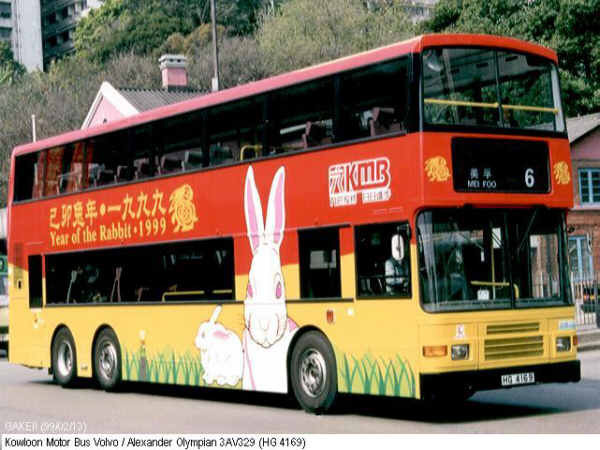 The bus - AV278 is one of a batch of over 500 11-metre air-conditioned Volvo Olympians which entered service with KMB between 1994 and September 1998. 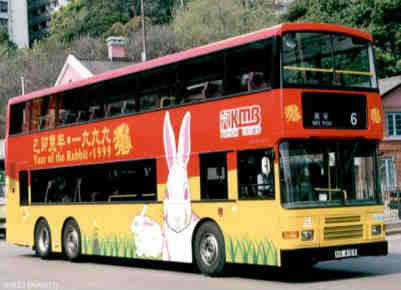 This particular vehicle entered service on 16th October 1997.